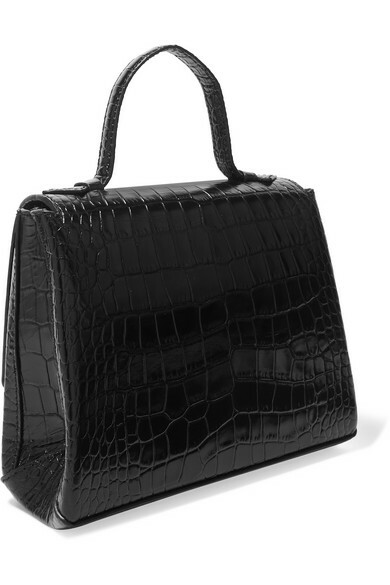 Top-handle bags are experiencing a major surge in popularity and Trademark's ‘Harriet’ bag has got a lot to do with it. 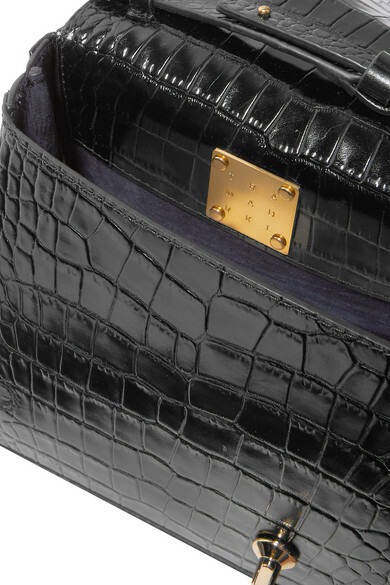 Made from vintage-style black croc-effect leather, this version is decorated with a sculptural gold ring at the front. 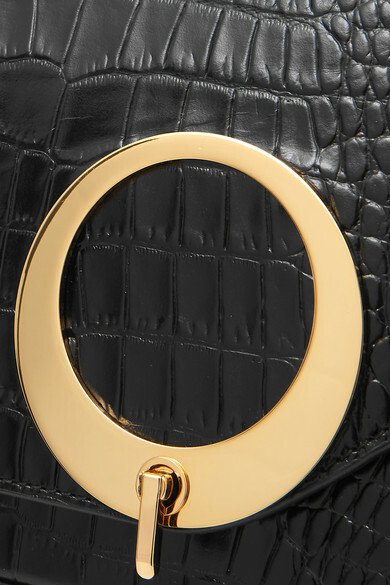 Fill it with just the essentials. 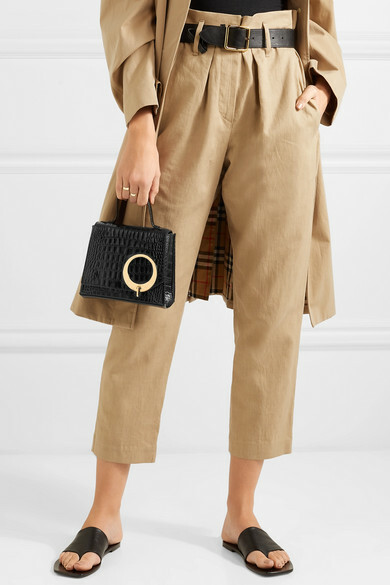 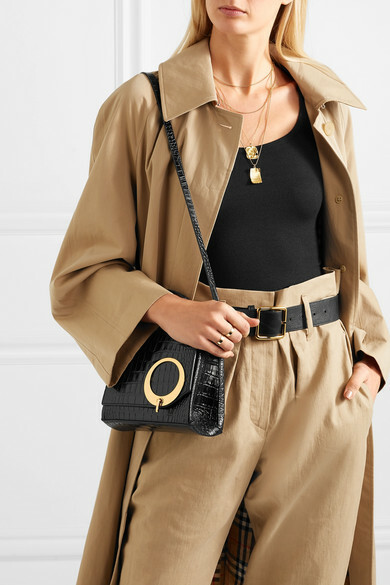 Shown here with: James Perse Tank, Brunello Cucinelli Pants, Burberry Trench coat, The Row Sandals, FRAME Belt, Alighieri Necklace, Alighieri Necklace, Loren Stewart Rings.